Consistency is a word we hear a lot in the social media field. It is an integral part of the online world, and is vital to growing an influential presence among both peers and prospects. 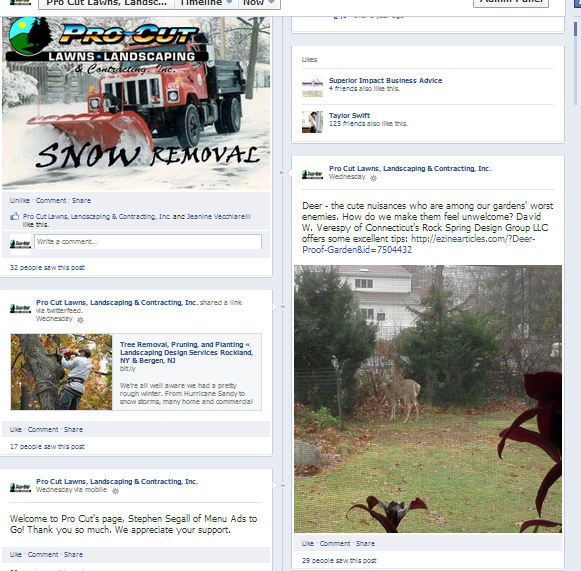 How often do we see Facebook business pages or Twitter business profiles that have been left to gather dust? There’s no doubt each was launched with high hopes and good intentions. Some may bear a smattering of earnest posts from those initial days of existence. And that’s where they lay. It’s important to remember that simply possessing social media business profiles does not guarantee us desirable returns. More likely, deserted profiles may work against us. They exist on platforms where social behavior is expected. Prospects and clients seek them out anticipating a cultivation of customer/merchant relationships as well as a ready conduit for enlightenment and assistance. Peers visit them in pursuit of information and conversation that may lead to mutual business benefit. What message is conveyed when they encounter virtual tumbleweeds upon clicking onto our sites? I was recently approached by a former client who could answer that question. Throughout our affiliation, we worked together to successfully nurture trusting connections, share value, facilitate conversations, and assist those who needed help. Once our joint effort ended, this client ceased all activity on his sites. Is it any wonder why he didn’t receive a single response when he recently posted a promotion for an excellent service? All the trust, all the relationships we cultivated, all the good will we built was gone. He needs to start over again. But this time his starting point may be met with uncertainty. Will he stay around consistently, or will he disappear on his following again? Trust is difficult to rebuild when it has been violated. We come to be known and trusted by posting consistently, sharing value regularly and nurturing engagement daily. This is the recipe that translates into better bonds, deeper customer loyalty and stronger referrals. In what ways do you ensure consistency on your social media business profiles? Please share your thoughts in the comments section below. This entry was posted in business online, Facebook, media platforms, Social Media Management/Marketing and tagged business online, Facebook, Jeanine, media platforms, Social Media Management/Marketing, Vecchiarelli by Jeanine Vecchiarelli. Bookmark the permalink.